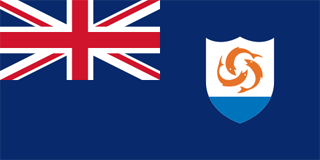 The flag of Anguilla was officially adopted in 1990. 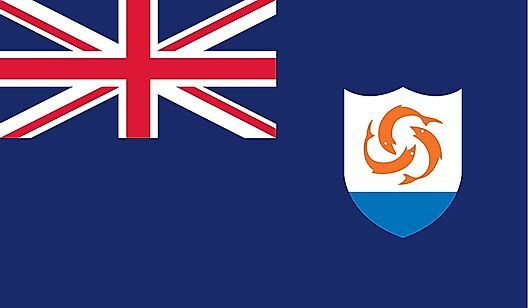 As a British dependent territory the island flies the United Kingdom (UK) flag. 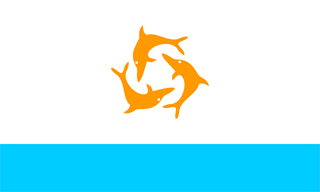 The Anguillan coat of arms features three interlocking dolphins over blue water. 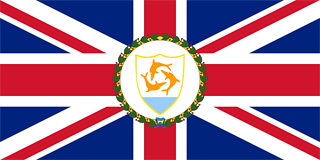 Anguilla's coat of arms contains three dolphins jumping out of the sea. Their orange color symbolizes endurance, unity and strength, and the circular motion is for continuity. 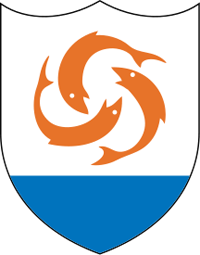 The white background of the coat of arms represents peace and tranquility, and the blue base represents the surrounding sea, as well as faith, youth and hope.